Collegiate esports in 2019 is expected to be an even more important part of school life. 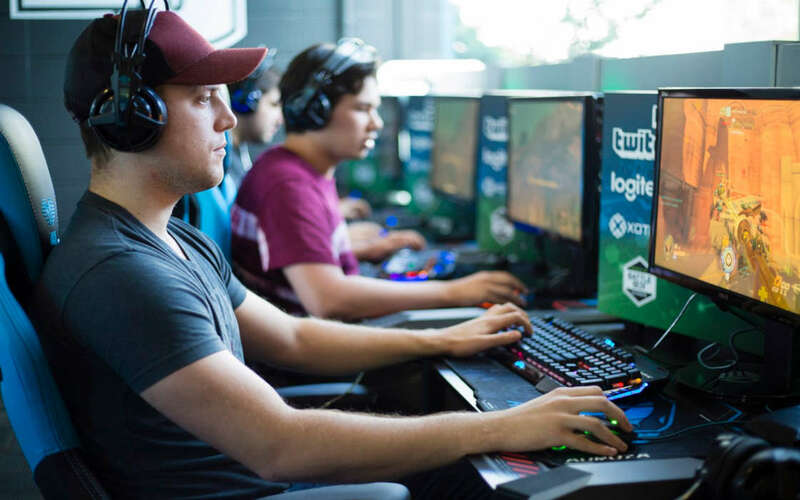 A way to share one’s passion for video gaming but also to put yourself through school, esports are being embraced by a number of institutions of higher learning across the United States. In 2019, alternative modes of education will develop even further. This can be remote learning, but now a multi-billion industry is shaping up nicely and colleges and schools don’t intend to miss out on it. Esports is coming to the class room, from producing top-notch competitors to teaching those with a more managerial turn of mind how to help develop the industry even further along. In an article published by the New York Times, Mr. Candella mentioned the impressive responsive time youngsters and trained esports players demonstrated. He hinted at the high APM (actions per minute, a metric used to gauge how ‘quick’ StarCraft and Warcraft players were back in the day) as one of the most admirable quality of such athletes. North America and the United States in particular already have their official governing body for college esports. The U.S. National Association of Collegiate Esports (NACE) has signed up a number of colleges and partnerships to secure itself a successful future. Most recently, NACE agreed to pursue further competitions with Paladins & Smite with Hi-Rez Studios agreeing to partner up yet again and encourage students to pursue esports successes and also grab enough funding to cover their tuition costs. More schools are bound to sign up in 2019 and some are rolling out their programs in late 2019. There are issues that still merit an addressing, such as the recently discussed burnout in some of the major esports competitions. Introducing esports on such an impressive scale will certainly merit a closer examination in how to keep teams competitive without forcing students to spend long weeks playing video games. Esports are going to take a greater significance in colleges in 2019. With a number of varsity programs already running, competitive video gaming is part of the curriculum and planning to grow further this year. A true globe-trotter, Stoyan is a sworn esports fans though writing now takes the majority of his time. He's constantly on the move looking to discover those initiatives that promise to transform the entire esports industry. With his easy-going and frank manner, Stoyan has been helping Esports Wizard by overseeing its content strategy and establishing healthy relations with industry leaders, showing a particular interest in all teams, companies and tournaments that share his passion for building from the grounds up.